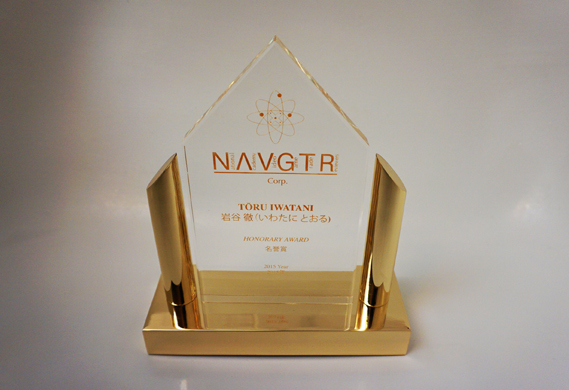 San Francisco, CA (March 21, 2016) / NAVGTR CORP. – The National Academy of Video Game Trade Reviewers, a 501(c)(3) non-profit media organization, has announced winners for its 15th annual awards program honoring video game art, technology, and production. The biggest winner is The Witcher 3: Wild Hunt with 14 wins, falling just short of The Last of Us’ record 15 wins from two years ago. Rise of the Tomb Raider and Tales from the Borderlands were the second biggest winners with 4 wins each. Three games won three awards each: Star Wars Battlefront, Splatoon, and Life is Strange. Four games won two awards each: Super Mario Maker, Rocket League, Crypt of the Necrodancer, and Bloodborne. By developer, CD Projekt Red led with 14 awards. Nintendo won six. Telltale, Gearbox, and Crystal Dynamics won four awards each. Other top developers were Electronic Arts, Dontnod Entertainment, Psyonix, From Software, and Brace Yourself Games. By publisher, CD Projekt led with 14 awards. Square Enix and Nintendo won seven each. Other top publishers were 2K, Telltale, Electronic Arts, Warner Bros, Sony Computer Entertainment, Psyonix, and Brace Yourself Games. This year’s Honorary Award recipients are Toru Iwatani, creator of Pac-Man, and Mark DeLoura, for developing programs for children to explore coding. The general voting body of reviewers, journalists, analysts, and writers includes contributors for such varied outlets as Austin American-Statesman, Break, Chicago Sun-Times, CNN, Futurenet, Gamespot, GamesRadar, Gaming Illustrated, Geek, IGN, Los Angeles Times, Machinima, MMO PRG, Moody’s, NBC, New Gamer Nation, New York Times, Nintendo World Report, The Ottawa Citizen, PC Gamer, Polygon, Salon, San Jose Mercury-News, Terminal Gamer, USA Today, The Vancouver Sun, Wired News, and hundreds more. 01 Bandai Namco Entertainment, Sora Ltd. This entry was posted in 2015, Game of the Year and tagged CD Projekt RED, navgtr, pac-man, Rise of the Tomb Raider, Tales from the Borderlands, the witcher 3, The Witcher 3: Wild Hunt, toru iwatani, wild hunt. Bookmark the permalink.